I may think “once-in-a-lifetime” is a bit strong of a term because all these bands are locals that regularly play out at the venues where the festival will be taking place. There have been one-day events in the past like Deer Tick’s DudeSmash, Foo Fest, Liberty Fest, 990WBOB’s Boobstock and the Steel Yard’s Wooly Fest, all of which have done similar things as far as featuring local music talent. I do agree with Rob, though, that there hasn’t been quite a week-long fest and there are a bunch of shows here that I definitely want to check out. 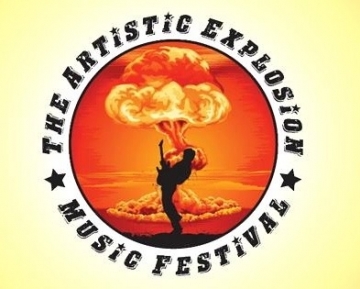 I caught up with Rob to find out more about The Artistic Explosion Music Festival. MC: How did The Artistic Explosion Music Festival come about? RD: I wanted to do something that celebrated the fantastic music that has been coming out of Rhode Island for the past five years or so while also making it happen for a good cause, hence with all the proceeds from the festival going towards two amazing non-profits in Girls Rock RI and The Rhode Island Music Educators Association. From being part of 990WBOB’s annual breast cancer research concert Boobstock, having the pleasure of covering Revival! at The Columbus Theatre this past November and witnessing how much of the local music community rallied around The 24 Hour Music Project to support victims of domestic violence, I was inspired to do something that resonated the essence of all three of those events but at the same time putting my own spin on it. 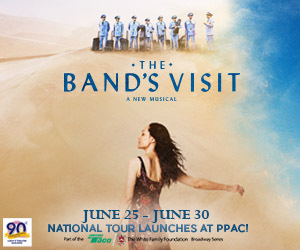 MC: Who is your pick for the must-see band and must-see show of the festival? RD: A lot of people have been asking me this question and I find it impossible to pick a favorite. Each show is stacked with some of the best talent in the Ocean State. What I think makes each night a must see is that there is at least one band playing that’s a diamond in the rough – not a lot of people have heard of them but they have a buzz. April 22 at The Spot: On 990WBOB’s Monday on Blast there’s this 19-year-old soul/R&B prodigy named Clyde Lawrence who goes to Brown and he has a voice that’s a cross between Otis Redding and Ray Charles. April 23 at Dusk: Pixels will wow some people with their old-school style alternative rock sound. Andy Davis can write some pretty damn good songs and he’s never afraid to pull off a mind-numbing guitar solo every once in a while. April 24 at Machines With Magnets: I think The Can’t Nots have what it takes to make people’s jaws drop; for a trio they have a monstrous rock sound and Naomi Lee’s voice can peel the paint off walls. April 25 at The Parlour: A band that has been on the rise that everyone should see is Shotgun. They’re a really cool blues band that isn’t weary of turning the amps up to 11 and melting your face. April 26 at AS220: People should give Songs a listen; these guys are a drum & bass noise band on steroids that can make your brain turn into bubble gum. April 27 at Firehouse 13: This will be a landmark night for Providence music in my opinion. People should definitely show up early and check out Huge Face. They’re an indie band that has two drummers and Pixies-esque songs that will have the audience bopping their heads. MC: All the venues hosting regularly have live music and the bands performing play out all the time. Explain why, for example, the Mondays on Blast at The Spot will be different. Or how this is a different show at Dusk or The Parlour? RD: 990WBOB’s Mondays On Blast on the 22nd will be different because you have four of the best young acts in Rhode Island performing. Dusk on the 23rd also has four very unique and eclectic bands rocking the stage. Machines With Magnets on the 24th and The Parlour on the 25th will have a bunch of bands that make the folk and rock scene in the Ocean State truly magnificent. AS220 on the 26th will be paying homage to Providence’s long history of punk and noise music and the last night at Firehouse 13 on the 27th will have the best of the best including a super-secret special guest who won’t be revealed until the end. Also, I’m pretty sure it’s the only festival in the history of the world that has all the proceeds going to a charitable cause. MC: Talk a little bit about both of those organizations and what moved you to do a benefit? RD: Girls Rock RI is a volunteer-based non-profit that uses music creation and critical thinking to foster empowerment, collaborative relationships, and the development of healthy identities in girls and women. They have an intensive one-week music camp every year for 11- to 18-year-old girls and they teach them how to play an instrument, write a song and at the end of the camp the girls perform in front of their peers. They also do the same thing for women over the age of 18 as well. I’ve always admired Girls Rock for their dedication to empower and educate others while at the same time always giving back to the Rhode Island music scene and I’m honored to have them getting a portion of the proceeds from The Artistic Explosion Music Festival. The Rhode Island Music Educators Association is a non-profit organization that plays a significant role in representing all phases of music education in the schools, colleges and universities within the state of Rhode Island. They put on recitals, concerts and festivals with school bands ranging from elementary, middle school and high school students. If you were ever in band while you went to school in Rhode Island, chances are you know about The RIMEA. I’m also honored to have RIMEA President Donald Smith working with me on The Artistic Explosion Music Festival and it’s very refreshing and exciting to know that something like this awesome event is going towards music education in Rhode Island, an industry that has been getting the short end of the stick nationwide for over 20 years. MC: In the era of the social media where anyone can plug something, what is the importance of the promoter? I’m curious as to your thoughts being both the organizer and promoter. What has your experience been? RD: Anyone can plug something. They’ll get a few likes and maybe a couple shares but I think the importance of the promoter is the ability to get the word out consistently while at the same time getting people to do the same thing for your event. The buzz about The Artistic Explosion Music Festival wouldn’t be as big if there weren’t a lot of other wonderful people being as excited about the event as I am and telling all their friends about it. It all has to do with bringing a community together and having them get behind and support an idea that ends up becoming a physical object or event. This experience so far has me awestruck and I’m very touched by the reaction it’s gotten. Dylan Sevey & The Gentlemen, Northeast Traffic, Rich Ferri & The Wealth On The Water and Clyde Lawrence will all be performing at The Spot on April 22 for 990WBOB’s Mondays on Blast. Admission is a $1 donation or more. The Universes, Volcano Kings, Pixels and Transit Street Collective bring the thunder to Dusk on April 23. Admission is a $5 donation. Torn Shorts, The Can’t Nots, The Skinny Millionaires and Chris Rosenquest will be at Machines With Magnets on April 24. Admission is a $5 donation. Northern Lands, Shotgun, The Denver Boot and Nymphidels rock The Parlour on April 25. Admission is a $5 donation. Weak Teeth, Olneyville Sound System, Songs and Gertrude Atherton are at AS220 on April 26. Admission is a $5 donation. The Viennagram, Tapestries, Consuelo’s Revenge, Littlefoot, Huge Face and a special guest will rock at Firehouse 13 on April 27. Admission is $5. There are two huge shows this week. Andrew WK at Fete with Roz Raskin & The Rice Cakes and Herra Terra, Casey Desmond and Born Casual bringing the thunder to the dance floor for the aftershow party on April 18. As of now, there are very few tickets left so anyone intending to go should hit up the Fete box office yesterday. The other big show is Fitz & The Tantrums with Hunter Hunted at The Met Café on April 19. Same deal as far as advance tickets; hit up the Lupo’s box office because there isn’t likely to be tickets at the door. WXIN Rock Hunt Finals go down at Fete on April 19. The combatants this year are Sic Vita, Tony Jones & The Cretin 3, Llama Tsunami and Evil Andrews. I lost my shirt betting on the WBRU version, but I plan to make it all back going big on Tony Jones & The Cretin 3. They have way more experience playing out and put out good punk sound that isn’t too heavy to turn non-punks off. Plus I just feel like they are due, they’ve been doing the WXIN Rock Hunt for like five years. It is their time. For fans of electronic music, check out Slow Magic at Fete with Magic Man and Ravi Shavi on April 23. Slow Magic has been blowing up with successful performances at the SXSW Festival in Austin. Slow Magic protects his identity and performs wearing tribal masks. Check out his tune “On Yr Side” from his forthcoming LP online at https://soundcloud.com/slowmagic/slow-magic-on-yr-side. Ravi Shavi is reason enough to go to this show as an opener.